The two largest organisations that distribute money raised for ‘good causes’ through the sale of National Lottery tickets have today unveiled refreshed brands that make a clearer link between playing the National Lottery and the good causes that benefit. 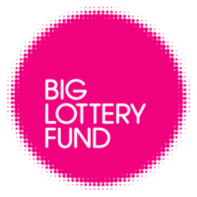 The Big Lottery Fund, the UK’s largest community funder, changes its name today to The National Lottery Community Fund – a move announced in September last year. They are joined by the Heritage Lottery Fund, which from today will be known as The National Lottery Heritage Fund. Reaching Communities funds projects that aim to improve communities and the lives of people most in need. Awards for All offers grants of between £300 and £10,000 for grassroots and community activity that aims to improve life for local people and neighbourhoods.